The short answer is “you do what you have to do”. Sleeping during the day clearly isn’t optimal or natural, but some have to do it due to work. The situation you describe is not uncommon, but the biggest issue that jumps out is that you have to make sure you’re getting enough sleep. Sleeping from 2 p.m. until 8 p.m. means you’re only getting six hours of shut-eye, and that’s not enough. It’s recommended you get between seven and eight hours of sleep. Given that you’ve been doing it for two weeks, that means you’re likely sleep deprived. The first thing you should do is try to get to bed earlier, and/or perhaps try to sleep a little later. To make up your sleep debt, you may need to try to sleep a little more for a week or two. Try to make your room as dark as possible. Your body reads light as “awake time,” so you need to make it dark so your body is ready and willing to fall (and stay) asleep. If you sleep during the day regularly, it might be worth investing in heavy shades or blackout curtains. If that’s not possible, a sleep mask could be a good backup. Try to minimize the amount of noise in your sleep area. This is hard, because the rest of the world could be doing things like playing music or running the lawn mower. A white noise machine or earplugs will help. Create a comfortable place to sleep. This is more important than ever, because your body doesn’t really want to sleep during the day. 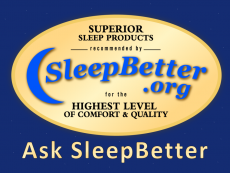 Replacing an old pillow or mattress pad can make all the difference in getting truly restful sleep. Run errands and do chores on your days off. Once you’re out and about in the sunshine, it will be hard to convince your brain and body that it’s time to go to bed. Finally, if you need a sleep aid, occasional use is okay. If you find that you need to take a pill every day to go to sleep, that’s something you should discuss with your doctor.